More than 150 people signed up to testify during the eight-hour meeting that ran long past 10 p.m. In a 5-2 vote, the board approved the 120-day emergency rule, declaring there was imminent peril to the public health or natural resources. "Our people need the tools to keep order on the mountain," said board member Chris Yuen, who introduced the motion to approve the rule. Board members James Gomes and Ulalia Woodside voted against the rule. In closing remarks, Woodside said after hearing hours of emotional testimony, she was disappointed and conflicted over how to move forward. "Of all the tools that we have," said Woodside. "I don't know that we're using the right tool right now." 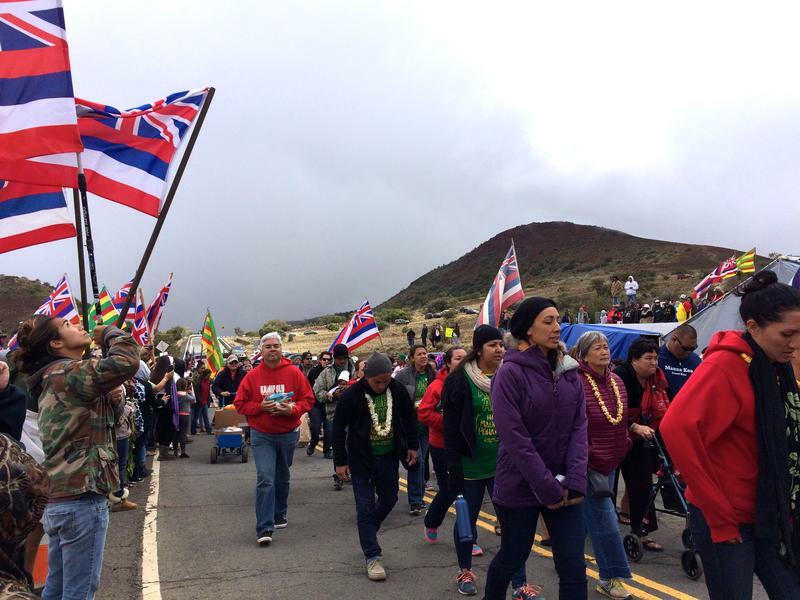 The new rule comes after months of protests against the $1.4 billion Thirty Meter Telescope. Astronomers call Mauna Kea's summit one of the world's best places to see the stars. But many native Hawaiians consider the mountain sacred land. Protest leader Kahookahi Kanuha testified against the new rule, saying it unfairly targeted protesters on the mountain. "This law directly targets people like me," said Kanuha. "People that have been on the mountain for the past 107 days. Not camping, we are there holding vigil, ceremony at least three times a day." State Attorney General Doug Chin said it was the protest on June 24th that prompted him to draft the rule. That’s when hundreds of protesters blocked construction crews from reaching the TMT site, largely by placing boulders and large rocks in the road. Chin said even though the boulders have been removed, lingering concerns about public safety remain. "It's hard to explain to the people who work there everyday, 'the rocks are gone, you're going to be fine,'" said Chin. "The concern is that if it happened once, is it going to happen another time? That's the threat." 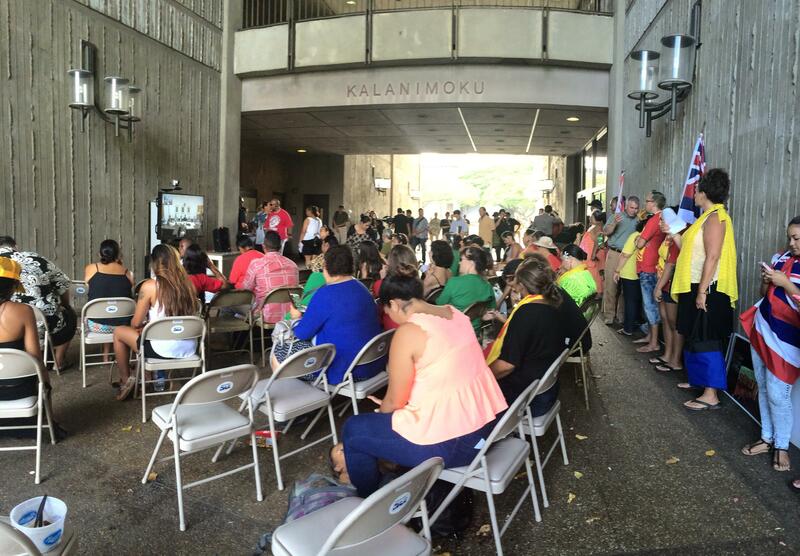 More than 150 people signed up to testify at Friday's BLNR meeting at the Kalanimoku building. Ahead of Friday’s BLNR meeting, the University of Hawai‘i released daily logs from Mauna Kea rangers and staff at the Visitor Information Station. The documents point to safety concerns from protesters blocking the road to threats and harassment aimed at staff and visitors. "Workers on Mauna Kea feel threatened and don't want to report to work," said Scotty Paiva, Chief Ranger for Office of Mauna Kea Managament. "We have lost two highly qualified rangers since the encampment on Mauna Kea." 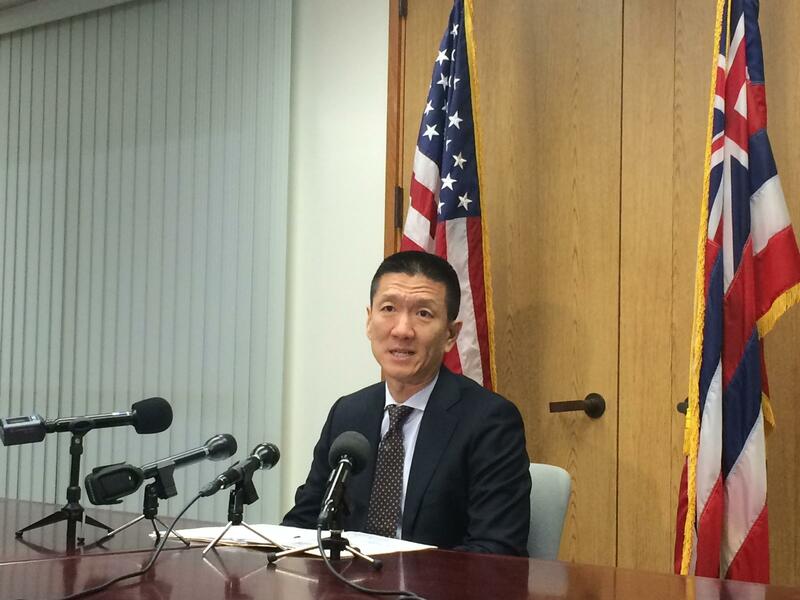 Hawaii state Attorney General Doug Chin answers questions from the media on the emergency rule. But many who oppose the TMT construction disagree, saying their 24-hour watch on the mountain has been peaceful. "Many of the things we have been accused of are absolutely false," said Kanuha, who has been arrested twice for blocking construction on the mountain. He says even with the approved rule, the movement to stop the TMT isn’t going away. "We don't plan to leave until Mauna A Wakea is safe." The state Attorney General said anyone in violation of the emergency rule could face criminal penalties, which could mean more arrests. The University of Hawaii has released logs kept by Mauna Kea rangers and employees at the visitors center. The documents come ahead of today's Board of Land and Natural Resources meeting. On the agenda is an emergency rule that would prohibit camping and restrict nighttime access on the mountain. The logs allege concerns of safety, threats to natural resources, and hostile comments towards visitors and employees since the protests against the Thirty Meter Telescope began back in March.